Earlier on Sunday, Georgia picked up a commitment from four-star safety Deangelo Gibbs. Kirby Smart and the Bulldogs have now added another commitment for 2017, this one from four-star athlete Tray Bishop of Dawson, Georgia (Terrell County). Bishop (6-3, 193) was previously committed to Auburn. He committed to the Dawgs over offers from Alabama, Clemson, Florida State, Miami (FL), Mississippi State, Nebraska, Notre Dame, Ole Miss, Penn State, and others. 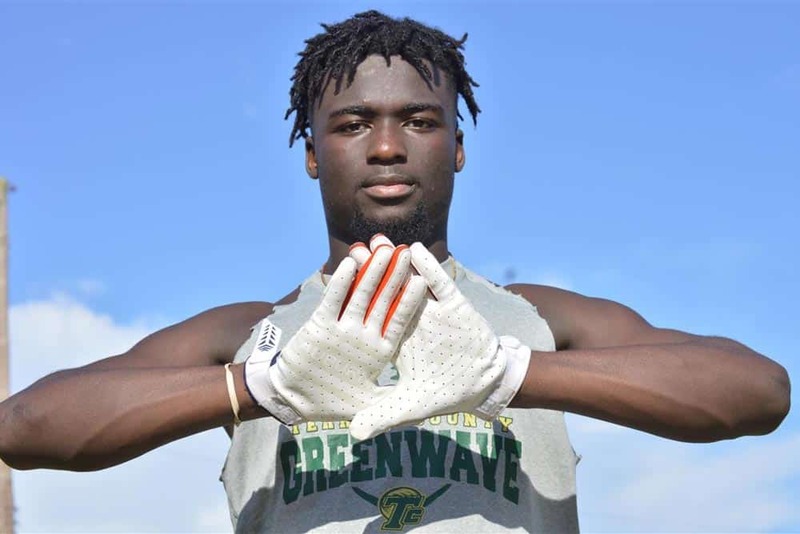 In the 247Sports Composite, Tray Bishop is listed as a four-star recruit, the No. 4 athlete, and the No. 149 overall recruit for 2017. Rivals.com rates Bishop as a three-star recruit and the 33rd overall athlete. Tray Bishop is Georgia’s 22nd commitment for the 2017 class. 247Sports rates the class 3rd overall, just behind Alabama and Ohio State. So excited to have another Georgia Boy join #SicEm17 !! Go Dawgs!